Dr Molly Crockett is an Assistant Professor of Psychology at Yale University and a Distinguished Research Fellow at the Oxford Centre for Neuroethics. Prior to joining Yale, Dr Crockett was a faculty member at the University of Oxford's Department of Experimental Psychology and a Fellow of Jesus College. She holds a BSc in Neuroscience from UCLA and a PhD in Experimental Psychology from the University of Cambridge, and completed a Wellcome Trust Postdoctoral Fellowship with economists and neuroscientists at the University of Zürich and University College London. Dr. Hongbo Yu is a postdoctoral research associate in the Department of Psychology at Yale University. Before joining Yale, he was a Newton International Fellow at the University of Oxford. He got his PhD in Psychology from Peking University, China. During his PhD he studied the cognitive and neural mechanisms of social emotions, such as guilt, gratitude, and forgiveness, combining psychology, neuroscience, and moral philosophy. Currently he is working on a series of projects on the psychological and neural basis of moral judgment and decision-making. Dr. William Brady is an NSF postdoctoral research fellow in the Department of Psychology at Yale University. Before joining Yale, he got his PhD in Social Psychology from New York University. During his PhD he studied how morality spreads in online social networks combining computational methods (e.g., text-mining of social media data) and experimental methods. Currently, he is studying how moral and political engagement on social media affects the expression and experience of moral emotions. Dr. Patricia Lockwood is a Postdoctoral Research Fellow in the Department of Experimental Psychology and Cognitive Neurology Centre, Oxford, and a Junior Research Fellow at Somerville College. Prior to Joining Oxford, Patricia completed her PhD in Psychology at University College London where she studied individual differences in social perception, learning and decision-making with the support of a 4-year studentship from the Medical Research Council. She is currently expanding her work on social learning in the Crockett Lab. Dr. Daniel Yudkin is a postdoctoral researcher in the Crockett Lab. He obtained his PhD from New York University under the mentorship of Yaacov Trope and Jay Van Bavel, and was a Fellow at Harvard University with Dan Gilbert. His research centers on how people assess and influence their surroundings, including how group membership influences moral judgment, how people explore new spaces, and how social comparisons impact people's self-evaluations. Daniel's work in the Crockett lab investigates how transformative experiences change people's values and behaviors. Daniel is also a jazz pianist and has played professionally in Paris, the UK, Massachusetts, and New York. Jenifer Siegel is a fourth year PhD student in the Department of Experimental Psychology at the University of Oxford. She holds an M.Sc in Clinical Neuroscience from University College London and a B.A in Psychology from McGill University. Jenifer studies the neural basis of moral inference, learning and decision-making with the support of a Wellcome Trust PhD Studentship and Oxford Clarendon Scholarship. Ryan is a second year PhD student in psychology at Yale. He received his BA in Psychology from Simon Fraser University in Canada, and then worked as a full-time RA in Jamil Zaki's lab at Stanford University. There he was involved in studies examining the role of empathy and social network dynamics in college life, as well as how peoples’ lay theories of altruism shape their own morality. Ryan’s current research utilizes behavioral experiments and neuroimaging to study social perception and social decision-making. Vlad Chituc is a second year PhD student in psychology at Yale. After graduating with a B.S. in psychology from Yale University, he spent five years at Duke University, working mainly on projects involving corruption and dishonesty in Dan Ariely's lab. Broadly, Vlad is interested in how social influences impact our moral judgements, and he is currently working on understanding our tendency to make ourselves appear morally better than we really are: why do we do it, who is prone to do it, and when do we infer that others are doing it. His work is supported by the National Science Foundation Graduate Research Fellowship. 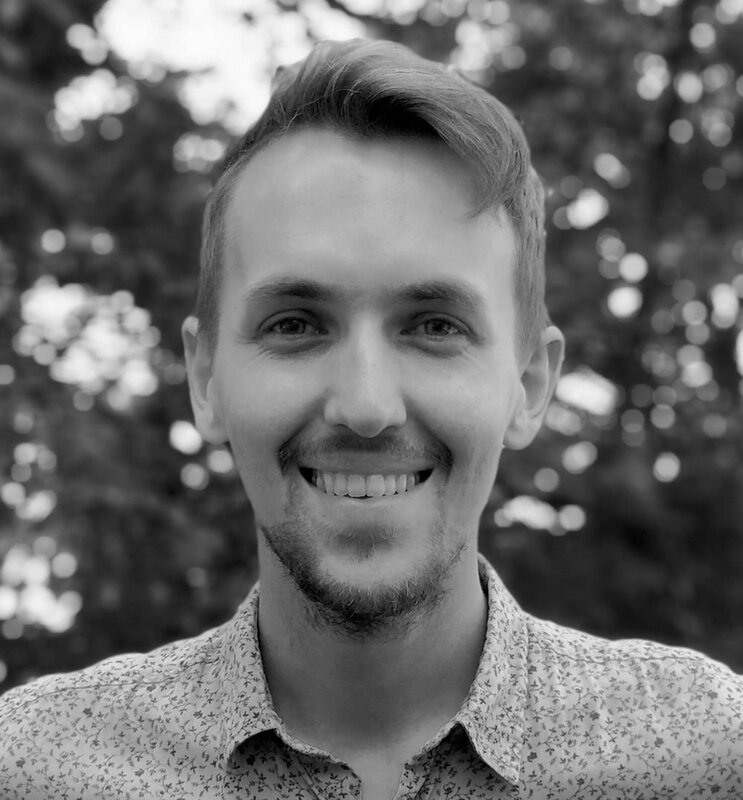 Brian is a third year PhD student in psychology and philosophy at Yale, working with Professor Molly Crockett in the Crockett Lab and Professor Joshua Knobe in the Experimental Philosophy Lab, respectively. He is also Associate Director of the Yale-Hastings Program in Ethics and Health Policy and a Research Fellow at the Uehiro Centre for Practical Ethics at the University of Oxford. His undergraduate degree is a B.A. with distinction in Cognitive Science from Yale, where he received the Robert G. Crowder Prize in Psychology and was elected President of the Yale Philosophy Society. He then moved to Oxford, where he took an M.Sc. in Experimental Psychology as a Henry Fellow of New College, and from there to Cambridge for an M.Phil. degree in History and Philosophy of Science as a Cambridge Trust Scholar and Rausing Award Recipient at Trinity College. Brian is interested in various topics in moral philosophy and psychology, philosophy of science, and ethics. He is also a professional actor and singer. Killian McLoughlin works as a laboratory technician in the Crockett Lab. Before starting at Yale, he completed an MSc in Social Data Analytics at University College Dublin, where he also studied for a BA in Philosophy. In addition, he holds a HDip in Psychology from Trinity College Dublin. 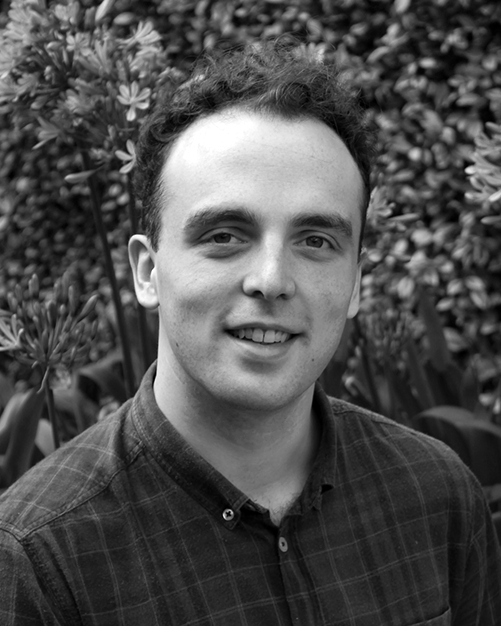 Killian is interested in the application of computational methods in psychological research, in particular to questions around the impact of social media on moral and socio-political behaviours. Vivian is a visiting undergraduate research assistant in the Crockett Lab. She is currently studying BSc Psychology at the University of Bath. Vivian is interested in the neural mechanisms that underlie people's moral decision-making and how the use of social media influences one's moral behaviour. In particular, she is intrigued by the individual differences on the sharing of outrage content on social media. Sara is a visiting master student at the Crockett Lab. She received her BSc in Neuroscience from University College Utrecht, where she finalized her undergraduate education with a thesis at the Decision Neuroscience Lab under Alan Sanfey on the cognitive mechanisms of trust. Currently, she is finishing off her research Master Brain and Cognitive Sciences at the University of Amsterdam. Sara is interested in combining research on moral decision-making, moral judgements and moral inferences. In particular, she is intrigued by the relationship between guilt and confidence in the moral decision-making process. Andre is currently a sophomore at Yale University where he is double majoring in economics and psychology. Andre was born and raised in West Hartford, CT, about a 40 minute drive from New Haven. In addition to working in the lab, Andre is a Production and Design Editor at the Yale Daily News, a member of development for Elmseed, and member of Make the Magic for Camp Kesem at Yale. In his free time he likes to cook, read, ride his bike, and go hiking. Anna is currently a sophomore in Berkeley College from California planning to major in economics and psychology. She is interested in behavioral economics, technology startups, and finance. Aside from working as a research assistant, she also dances with the Yale Ballet Company, is involved with the Yale College Council, and works at the Yale School of Management. In her free time she enjoys studying Russian history, traveling, and watching stand up comedy. Conor is a sophomore studying Philosophy and Cognitive Science. He is particularly interested in moral psychology, ethics, and philosophy of mind. In the lab, Conor works with Vlad and Clara to investigate the influence of subliminal facial cues on judgements of identity continuity and with Vlad to uncover the role moral judgements play in aesthetic evaluations. Conor also works as a tour guide at the Yale University Art Gallery, loves leaves, and surrounds himself with the most fascinating people he can find. Daniel is a senior majoring in Cognitive Science and Philosophy, with a focus on moral psychology and philosophy of mind. Daniel is primarily interested in the phenomenology of psychedelic experience and other altered states of consciousness. In the Crockett lab, Daniel works with Clara to uncover the structures underlying moral cognition. In the Knobe lab, Daniel works with Brian to probe folk intuitions about true love. In my free time, Daniel enjoys running, hiking, writing, meditating on music, experimenting with lifestyle design, and seeking peak experiences. Danielle Yerdon is a current Junior studying Neuroscience at Yale. In addition to social neuroscience, she is also interested in movement neuroscience and in a potential career working with amputee and movement-impairing disease patients. In the Crockett Lab, she is currently assisting Vlad Chituc’s project regarding the reception of immoral artists. Outside the lab, Danielle is co-president of the Yale Undergraduate Ballet Company and can almost always be found dancing! Joshua is an undergraduate from Denmark majoring in Ethics, Politics and Economics. He is very interested in social and moral psychology, especially issues relating to the ideas of effective altruism. Currently, he is working with Brian Earp, Dr Molly Crockett and Dr Margaret Clark on a project on moral judgements in different relational contexts. In the past, he has worked on a project on potential gender biases in pediatric pain assessment. Julia Hu is a first-year studying Neuroscience at Yale. She collaborates with Ryan on building computational models for altruism and social decision-making. Having spent a summer working at Apple, she loves computers and technology. Now, she’s even more fascinated by the human computer and how science can decode empathy and selfishness. Outside of the lab, she can be found playing the cello with the YSO, going on nature runs, and planning her next great adventure. Lan is a junior in Silliman College double majoring in Economics and Psychology. He is primarily interested in behavioral economics, business economics, and social psychology. Lan is currently working with Clara and Dr. Crockett on a project that seeks to systematically map the space of morality using machine learning, computational linguistics, and cognitive neuroscience. Outside the lab, Lan is the president of the Yale Krolik Saxophone Ensemble and can also be found dancing to hip hop, listening to jazz, and playing piano. Lillian is a sophomore in Pierson College pursuing a double major in Cognitive Science and Economics, and her concentration within the Cognitive Science major is Prosocial Decision-Making. She is interested in applying behavioral economics to marketing and business to increase prosocial behavior in firms and individuals, and is very excited to be working with Billy on analyzing social media moral outrage. Outside the lab, Lillian enjoys editing for the Hippopotamus Literary Magazine, mentoring first years as a Peer Liaison for the Asian American Cultural Center, and practicing her faith in Yale Students for Christ. Miriam is a junior in Stiles college majoring in Psychology who is interested in understanding disruptions of social and moral learning in clinical populations. In the lab, she's working on projects with Jen involving a computational model of social learning, which include using this model to investigate differences between a borderline patient sample and controls, and investigating the neural correlates of aspects of this model. Aside from psychology, she loves playing the violin in Yale groups and shows including the Yale Symphony Orchestra and the Davenport Pops Orchestra. Nell is a sophomore undergraduate research assistant in the Crockett Lab. She is majoring in psychology and hopes to pursue a career in medicine. Nell is fascinated by all things morality-related, especially the interaction (or lack thereof) between rational and intuitive decision-making and the implications of cultural differences in the development and manifestation of moral frameworks. Currently, she is working on a study evaluating value judgments of works produced by immoral people. Outside of lab, she sings a cappella in The New Blue and tutors students at a New Haven high school. She loves to run, read, cook, and travel. Wooje is a junior double majoring in Mechanical Engineering and Cognitive Science. He is interested in human-robot interaction and computational morality, their application in judging inherent human behaviors, and using the principles in human-centered design. Wooje is working with Anne-Marie on effects of transparency and accuracy in using machine learning. He is also working with Meiying at Scazlab on Canine Project. In his free time, Wooje likes to work on design projects, plays games, cook, and watch hockey.